FLORENCIA X ELLIE ACTIVEWEAR | The June Box! What came in this month’s subscription box? 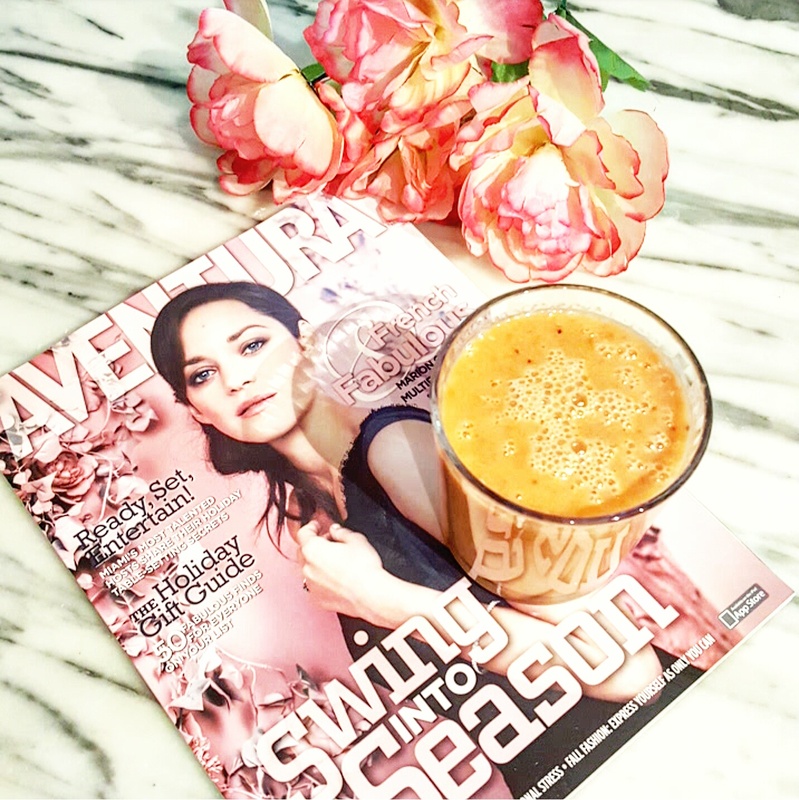 This is the third Ellie Activewear Box that I share – I love them! Ellie is a workout wear and gear subscription. Every month you receive 5 amazing items for your active lifestyle. Your usual box can include a sports bra, a top, leggings or capris, a jacket, accessories, and a piece of equipment. The best part is that this box is so motivating!! Because when it comes to working out, some days we all need an extra push. Wearing these awesome outfits instantly puts me in “Workout Mode” and makes me feel that I can complete the fitness routine that I planned for that day! To see the MAY BOX, click here. To see the APRIL BOX, click here. To learn more about six (6) easy tips to maintain a steady fitness routine, click on ‘continue reading’ !!! FLORENCIA X ELLIE ACTIVEWEAR | The May Box! Having a strict fitness routine has always been extremely important for me, so I am very consistent with it. It motivates me, distracts me from daily stuff, keeps me healthy, and fit. The first Zumba classes that I ever took were when I was 14 years old… and I have not stopped working out since then. I used to ask my parents to drive me to the local Athletic Club four times a week, Steps and Zumba were my favorite. A few years later I got into Bikram Yoga, and did that weekly for two years. Then I got hooked on Spinning classes, which I did for another 2-3 years. After we moved, I started high-impact classes at a different gym. And for the last few years I have been loving Boot-Camp classes. Ah! I recommend the Citrus-Zinger Infuser Bottle that you see above. For the last months I had been searching for an infuser bottle made specifically for citrus fruits – to give the water a real fruit infused flavor. It’s very easy to use and wash, so I even take it to work. I purchased it at a local store, and I linked it here for you guys! (Only % 15.99!). There’s nothing better than doing something positive for your health first thing in the morning, when you arrive home from work, or after your workout! You can spark your metabolism & satiate your hunger with the absolutely amazing power of natural whole foods. If you would like to increase the amount of vegetables or fruits that you eat daily / weekly – you will love these quick smoothie recipes -I suggest you try them all! These easy to make smoothies are high in vitamins A and C, others contain anti-inflammatory properties, some possess antioxidants, and others help balance the blood-sugar. 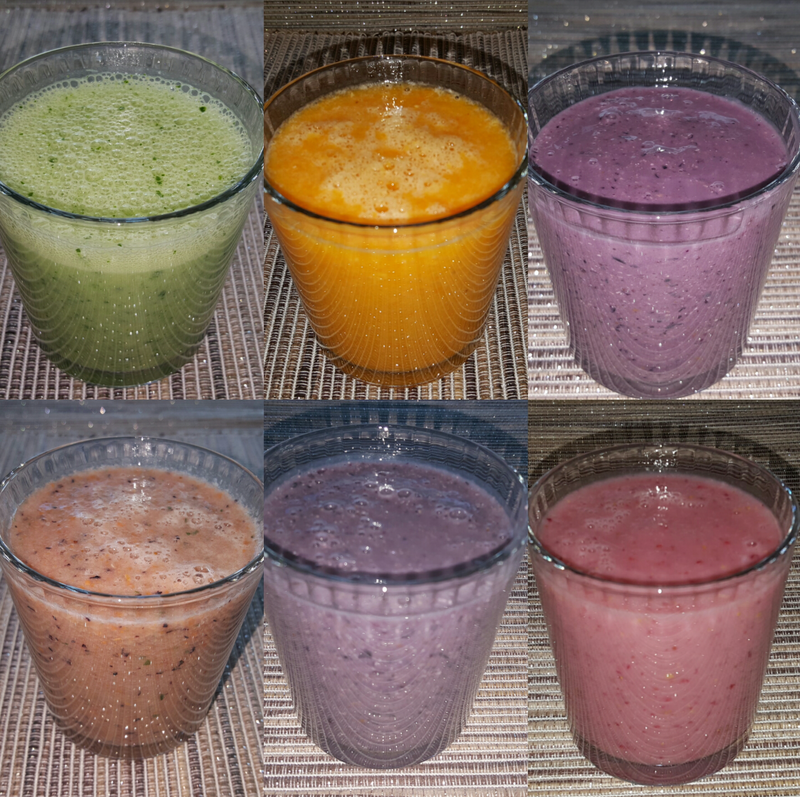 I have so many smoothie recipes that I prepare on a weekly basis, these are from these past few weeks. I hope that this post encourages you to eat more fruits & veggies, feel free to share! Enjoy & let me know what you think!